The holidays are among us! Got some last minute shopping to do? Whether it’s for you, your friends, and family, we have got your holiday needs covered. Stop in and let us help you find the perfect gift! Raising Readers in Story County would like to provide 1000 books to Salvation Army Families of Story County area this holiday season. You can help by gifting new children’s books by dropping them off at the any of these convenient drop-off locations. Support small business by purchasing Christmas gifts at local shops. We’ll have special deals for the day so check our Facebook page for updates! ● Last Call for Winter Clothing: Winter consignment will end December 15th. No consignment will be accepted from December 15th through January 15th. Click here for more information. ● Spring & Summer ! Consignment for spring clothing will begin January 15th. Spring consignment includes short sleeve and 3/4 sleeve shirts. rain jackets, jeans, pants, capris, ankle booties, light jackets, athletic wear, and spring dresses. ● Prom consignment will continue through December 1st through Mark 1st. ● Please bring no more than 25 items a day. ● We take clothes, shoes, accessories, purses, prom dresses and formalwear. ● We accept misses sizes 0 to plus & men’s sizes XS to 2XL. ● Please look over your items thoroughly. We will only accept the highest quality and current trend items. ● Your items are on the floor for 90 days, they will go on sale as we see fit so we can get the most money for you. ● After 90 days, any item that does not sell becomes the property of The Loft. You will receive 40% of the selling price for items priced under $30.00 and 50% for items priced over $30.00. ● Once an item of yours has sold, the money goes directly on your account and you can come in at any time and receive your money (over $25 we issue a check) or use it as in-store credit. It is completely up to you! ● No appointment is necessary. ● No consignment accepted 1 hour before closing. ● No consignment accepted on Sunday. HATS! Keep the heat in all the while looking oh so stylish. Come check out our winter hats! They make great stocking stuffers! Thank you for taking the time to read our news. We are committing to make this the best year yet at The Loft and we can’t wait to keep sharing our one of a kind products with our one of a kind shoppers. Happy New Year! During the month of October we get to celebrate the people who lead our fantastic team! Tuesday, October 16th is National Bosses Day. We did some interviews at The Loft and Duck Worth Wearing to find out how Amy and Eric rank on “the best boss scale”. Read on to find out how they did and the top 5 qualities of a good boss. Get your knock knock jokes ready because its almost time for Halloween! Need a little help with your costumes this year? No problem! Stop on by The Loft and see what we have in stock. Create some great costumes from our ever changing clothing and accessory inventory! Enjoy all there is to eat and drink in downtown Ames! Over a dozen downtown restaurants and bars will offer special prices, unique entrees, and great drink options. – Great Harvest Bread Co.
– Great Plains Sauce & Pizza Dough Co.
– Olde Main Brewing Co. This community event is presented by The Loft and Cafe Diem and supported by Stoltze & Stoltze Family Dentistry, Vision Bank, Scott Richardson State Farm Insurance, Della Viti, and Gilger Designs. Dine Downtown Ames is a participant in the Main Street Iowa Restaurant Week. 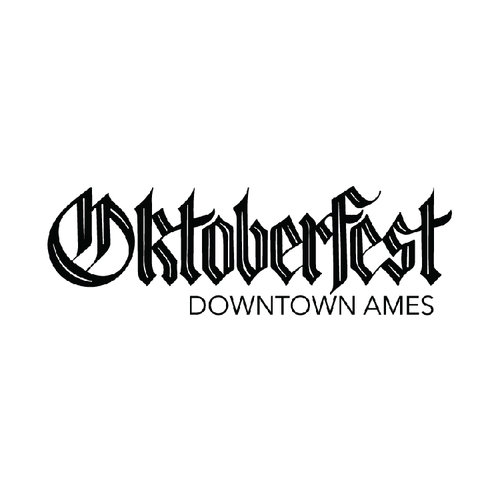 Live polka music, dancing, great German food, Guten Tag, and much more! Beer will be sold by the glass from 1-10 pm with a special craft beer sampling through tickets until 5 pm. $10 Admissionin advance $12 at the gate! All persons under 21 must be accompanied by a parent. Are you a fan of trick or treating? Or maybe your kids are! 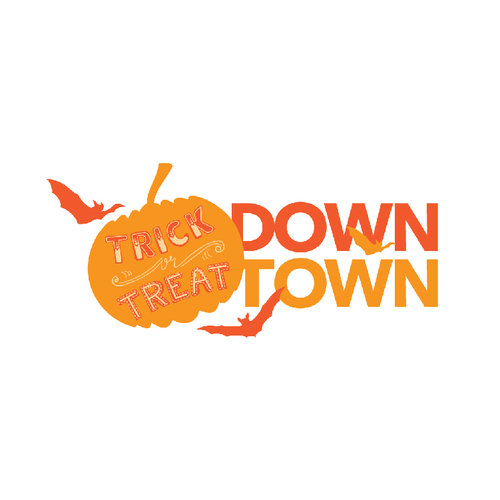 Trick or Treating in Downtown Ames is always a fun, family friendly event. Our friendly businesses in Downtown Ames get to enjoy a fun afternoon with the kids,. We’re delighted to inform you that The Loft Ames has been selected as one of the best Consignment Shops in Iowa by Best of AmericanTowns! Check out the blog here! ●Winter consignment begins October 1st! Winter items include; long sleeve shirts, winter coats and boots, close-toed shoes and boots, heavy sweaters and cardigans, jeans, and pants. ●Prom consignment will begin December 1st! We’ve got bling! This doesn’t even come close to showing the breadth of our inventory. Let the sparkle catch your eye, as you search for your perfect outfit. We have such great deals on lovely items! Pop in soon to find your own treasures! Thank you for taking the time to read our news. We are committing to make this the best year yet at The Loft and we can’t wait to keep sharing our one of a kind products with our one of a kind shoppers. The Iowa State Fair is fast approaching and we have got the tell all for this fair season. From current fair fashion trends, to the how to’s of the fair, we have everything you need to be prepared to take on the Iowa State Fair 2018 in style! Happy Fourth of July everyone! The Fourth of July parade on Main Street is a must see this year. Dollar Days are coming up fast and we have all kinds of great deals for those back to school outfits. It may feel like summer just started, but you’ll need to get those closets stocked for back to school before you know it. Read on to find out more! The 4th of July Parade is one of the largest events of the summer, and attracted thousands of attendees last year! What a great connection between Main Street and the city of Ames! Join us before at the Ames City Hall for a Pancake Breakfast from 8:30-10:30. Fill a bag and pay just $5! Stock up on all the clothes you need for your summer vacation or plan ahead for back to school! July 29th-31st During normal business hours! Tax free weekend, when no tax will be collected on sales of an article of clothing or footwear having a selling price less than $100.00. It is a great weekend to stock up for the fall! ● Summer consignment has ended and fall consignment will begin on August 1st! Fall consignment includes long sleeve and 3/4 sleeve shirts, pants, jeans, hoodies, lightweight sweaters and cardigans, jackets, boots, and athletic wear. All heavy coats, sweaters, and holiday items will not be accepted at this time. It doesn’t feel like it but soon fall will be here! Come in and check out the latest products for fall including scarves, cozy kicks, and beautiful formal ware! There is an inexpensive, easy to use, fun way to get your products and services out to a vast amount of target consumers, but you have to know how to use this powerful tool well. Small businesses like ours use social media on a daily basis get the word out about our products and services. If you are a business owner, read on to learn some tips for getting the most out of your social media presence. No business? No problem, learn how this can help you gain access to the products and services you love, and support your favorite local businesses!